Indie Retro News: Ooze - Andy John's next ZX Spectrum game isn't Monty, but it's a bit gooey! 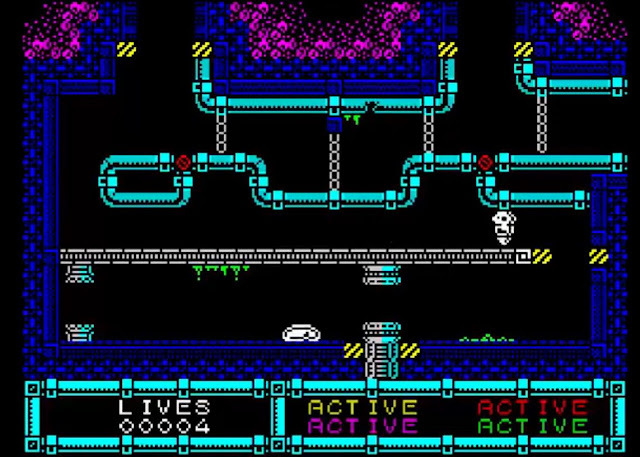 Ooze - Andy John's next ZX Spectrum game isn't Monty, but it's a bit gooey! Andy John's is now one of my most favourite ZX Spectrum developers, especially as he made two brilliant Monty Mole games, Monty's Honey Run and Monty Mole and the Lost Souls using Arcade Game Designer. But this time he has decided to take a side step away from good ol' Monty and make a rather gooey ZX Spectrum game called ' Ooze ', which is now being previewed via this latest video update.